Great post, the fact that conservation and recycling is so high on so many peoples agenda at the moment is great. There’s a Yahoo group called freecycle I’m not sure if its just in the UK but thousands of people offer all sorts of unwanted goods rather than dumping them. Absolutely awesome way of recycling!! There’s also a Freecycle group in Singapore and it’s quite active too. This blog is very informative post.Thanks for sharing this. Thanks for this post! Didn’t know MOTOROLA had recycling programmes. Now I can give them my old moto phones. Any ideas on how and where to recycle batteries? And what is done to recycle them? If you are refering to household batteries, there’s no collection for recycling. See NEA’s explanation http://wildsingaporenews.blogspot.com/2008/04/producers-have-recycling-schemes-in.html. 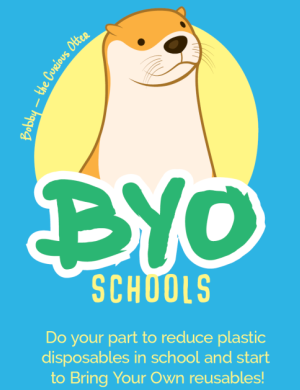 For handphone and laptop batteries, see the recycling programmes in the post. Hi,great article, and i guess e-waste is indeed a pertinent topic here but I would like to just know how do people return their used handphones (or other electronic goods) which may not fall under the purview of these companies (such as HP, Brother etc) to be recycled.. 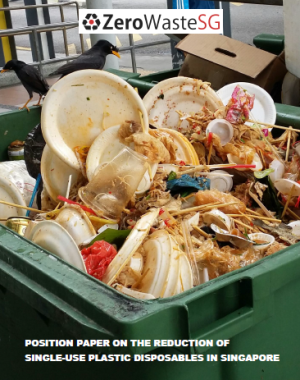 I don’t suppose they can just throw it into the recycle bins as well..Is the “karang guni” the only solution for these other goods to be returned for recycling? Furthermore, is there a way of knowing what happens to all these reycled electronic waste? for example what percentage is recycled, what percentage is too damaged to be recycled etc..Don’t seem to be able to find any such figures on NEA website..
Hi Andy, I think most people sell or give their used handphones and other goods to karang gunis and second hand traders. Some of the recycling programmes in the post do take back other brands of handphones. For detailed figures of electronic waste, you would have to consult NEA. hope all is well and thanks for your message. I am curious to know more & wondering if i can get more informaiton from you. should you be interested please let me know. I have done spring cleaning recently and I have a lot of chargers (phones,laptops, etc) and wires and also portable CD players and MD player and old handphones( which i am not sure still working), that i need to let go. Do u know where i can drop off the whole load for reuse/recycling? cos i cannot afford to go around singapore to drop off the old motorola phone then the old ericsson phone individually. Really appreciate any answers from anyone! Hi ST, try selling them to Cash Converters if they are still in working condition. Or you can use your recycling bag or bin under the National Recycling Programme. For your phones, the recycling programme by Nokia takes in all brands, just drop them at Nokia Care Centres. 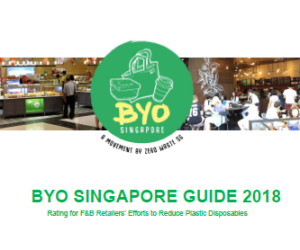 I am curious why they don’t have recycling bins for electronics around in singapore along with the other recycling bins, it would make it much easier for people and more people would probably take the effort to recycle them. What happens to the electronics that is thrown in the normal trash bins? Most people usually sell their used electronics and not put them in the recycling bins. If there’s a National Recycling Programme where you stay, you can use the recycling bag or bin for the electronics. There are also recycling bins by companies as mentioned in the post. to extract metals from electronic boards. Hi Herald, are you saying that you wish to extract the metals yourself? You would need strong chemicals to extract the metal from the circuit boards. Not advisable. could anyone give guidance on the steps and capital needed ? I intented to start an e-waste biz in Indonesia. would be very appreciate if you could guide the steps along and also the estimated capital needed ? Its a good that there is a business which can recycle the e waste.I am from India and like to set up an e waste industry which can cater in a state in india. Can we recycle batteries in singapore? And where can we dispose them off? Hi Eunice, if you are referring to household batteries, there’s no collection for recycling. 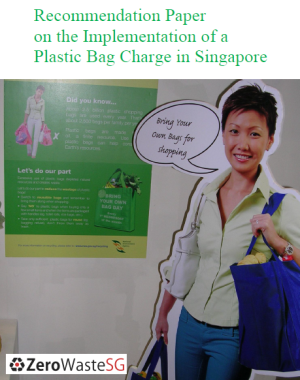 See NEA’s explanation http://wildsingaporenews.blogspot.com/2008/04/producers-have-recycling-schemes-in.html. For handphone and laptop batteries, see the recycling programmes in this post http://www.zerowastesg.com/2008/12/08/electrical-and-electronic-waste-recycling/. From what I understand, most of the household e-waste (like TVs, PCs, notebooks, etc) are sold to the karang guni men since there aren’t any accessible collection points for e-waste (as far as i’m aware, again). Considerig that, do you have any idea what the karang guni men do with the e-waste they collect? Do they dismantle it and sell of the valuable metal bits to scrap metal collectors? do they sell them to recycling companies? 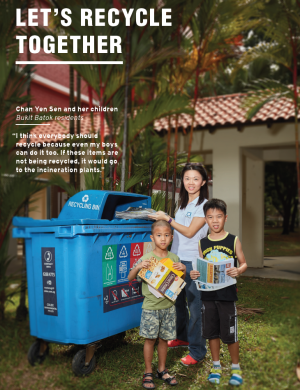 Do you know what proportion of household e-waste in singapore is actually recycled? Thanks. Hi beverly, besides selling to the karang gunis, e-waste are also sent to the organisations listed in the article or other e-waste collectors found at http://app2.nea.gov.sg/topics_collectrade.aspx. We don’t have data on the household e-waste. Hi choonsearn, I think the karang-guni sell the items to second-hand traders, who repair and refurbish them for resale. So strictly speaking, this is considered as reuse. Recycling is when the items are collected and broken down for the recovery of precious metals and other material. Freecycling as Eugene mentioned is coordinated via yahoo group. Simply register and email what you have to offer or what you want to have. Lots of electronics given away for free here. Do you have any idea of web that do provide this service? 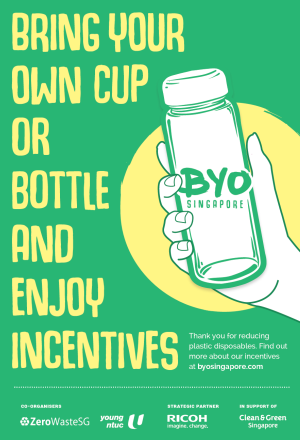 Hi Christine, if it’s still reusable and you wish to give it away, try the organisations at http://www.zerowastesg.com/2008/12/08/give-it-away/. If not, try the collectors at http://www.nea.gov.sg/cms/rcd/Multiple-Electrical%20Items-Furniture-Clothing.pdf. I have some old electronics (toys, wires, gadgets, etc.) that do not function any more and are not reusable, but I want to get rid of it in a more environmental and responsible manner than simply throwing it down the rubbish chute. Is there any convenient way to get rid of it, like an electronic waste dropoff point nearby? Or if I separate it from my normal rubbish, will it be taken care of by the rubbish collector? I live in Pasir Ris, by the way. You can try checking with the electrical item collectors at http://app2.nea.gov.sg/topics_collectrade.aspx. Do you have any updated information about Ewaste? Is there any new policy/location whereby I can drop off used batteries or small household electronics? I can’t imagine any company is going to bother with my 30 used batteries and 2 broken electronic toys, but there must be a place where everyone can contribute their ewaste. Collectively, the large pile is worthwhile! 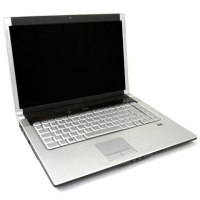 Do you know any commpany want to buy used IT products? How about faculty DVD players? We would like to sell off all these items. I know organizations in Singapore who are willing to dispose off electronic waste for which I am finiding vendors. Can you provide details about the vendors? Good day, I am Manchang Emmanuel from Cameroon. It is good for our environment. Recycling is very good process for us.Electronic waste causes many hazards in the human health.Your blog is very educative & well understand.Thanks for the post. Great site, and great link to NEA’s list of collectors. But it seems that this is mainly for business or large scale recycling. While many of us are aware of recycling depositories and Cash Converter, etc, I am not sure where I can give my used household/IT electronics and/or extra cables to, and I do not want to travel all the way to Tuas just for 1 item. Thank you in advance for your advise. we have a number of electronics items to dispose, is there any recycling companies that can help us to collect for recycling at FOC? was wondering if there is a company like GreenDisk in Singapore to recycle old CD jewel cases. I am from Bangladesh. Certainly we have large quantity of E-Waste such as PC-Main Board/Ram/Sound Card/Agp Card/Mobile Phone Circuit Board & many other valuable electronic circuit board/Peripheral for E-Recycling.If you have any interest on above mentioned product please feel free to give us any inquiry. Thanks.Shahadat. Do earpiece fall under e-waste? I imported cheap analog watches a few years back and has since terminated the business. I am left with quite a few cartons of watches which I do not know how to dispose of them. I do not know which ones are working and which are not (some of them may have their plastic cover to the battery still intact.) The watches come in plastic boxes. Do you know anyone who can recycle the e-waste can contact me by email.